GE Lighting Albeo™ Collection LED High bay in white color, employs 102-Watt LED lamp with average life of 100000 hours to deliver light of brightness 12300 Lumens. LED Lamp has color rendering index of 70 and color temperature of 5000K. It has voltage rating of 120 - 277-Volts. 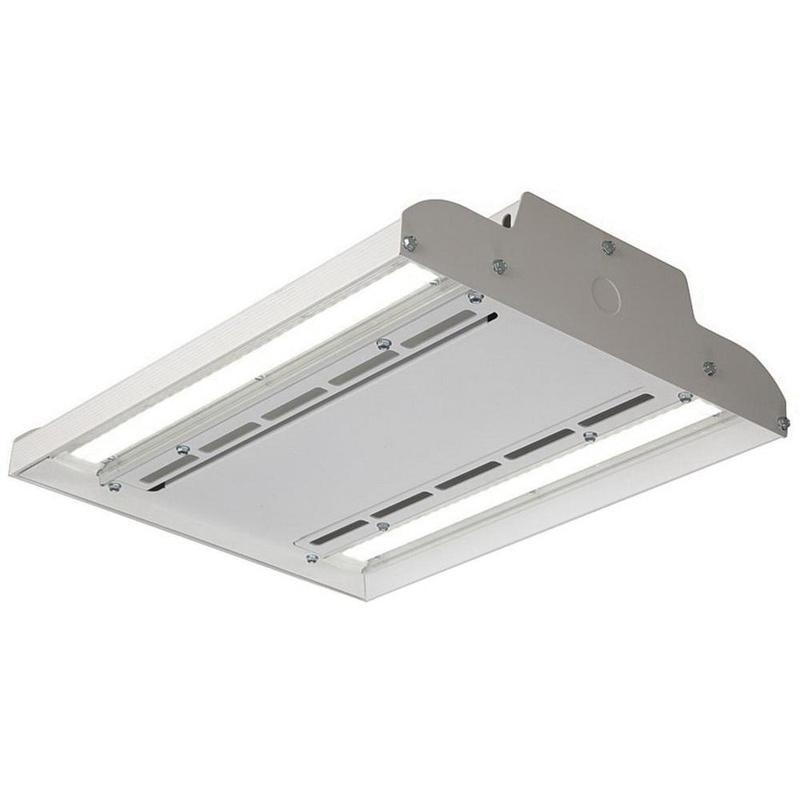 Dimmable rectangular LED high bay features steel and aluminum housing for longer endurance. It measures 15-1/16-Inch x 11-5/8-Inch x 3-3/64-Inch. LED High bay is ideal for warehouse, cold storage, industrial, gymnasium, sports arena, retail and high ceiling applications. It withstands temperature rating of 22 to 131 deg F. LED High bay is UL listed and RoHS compliant.